GRAVE DIGGER - HOME AT LAST EP (MCD) | Online Shop | Wizard LTD. Album: "HOME AT LAST EP (MCD)"
Exclusive 6-Track MCD incl. 2 Non-Album Tracks and 3 Live Tracks! 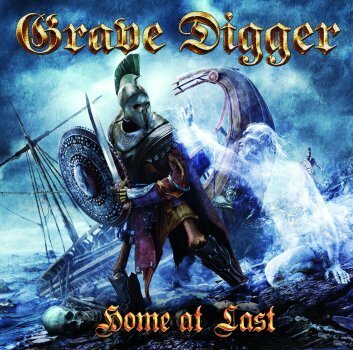 With the MCD "Home at Last" GRAVE DIGGER presents their fans a taste of what is to come on their forthcoming album. This metallic package includes two non-album tracks - "Rage of the Savage Beast" and the stomping Wacken Festival hymn "Metal Will Never Die" - as well as the titletrack as an exclusive extended version of the original to be featured on the upcoming longplayer. The final tracks are three live songs, recorded at the legendary Wacken Open Air in 2010. The selection on "Home at Last" is a clear indication that Grave Digger is a powerful force to be reckoned with - now more than ever before!